Now this is quite a confrontation we have here today ladies and gentleman. Well, it’s not all that much of a confrontation, to be exact and honest. It might look to the inexperienced observer that all of these kitchen appliances are contending for that one sot in your kitchen. That can’t be further from the truth. Although they do overlap with some of the things they can do, they are all specialized in their fields. 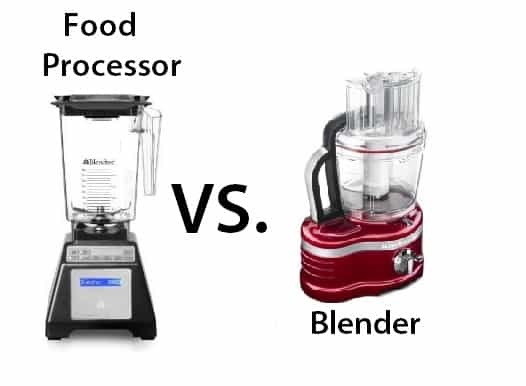 So, Food Processor vs Blender or Mixer – who wins? There’s also one more thing you should know before we start. The thing is, food processors are vastly superior products to blenders and mixers. They can do majority of things these two can, plus a bunch of stuff they can’t. So, what I’ve said in the second paragraph goes the least for food processors and much more for blenders and mixers. You can figure out that what I’ve just said was the truth based on the prices. Check today’s deals here, on Amazon. The pricing for food processors goes through the roof, and you’ll probably have to spend several hundreds dollars in order to have one whether blenders and mixers are relatively cheap machines, as you can see yourself here, on Amazon. I know what I usually say, just because something is expensive doesn’t mean it’s good or high-quality. Well, that doesn’t apply when you have one sort of products costing thousands more than all the rest, even by the same manufacturer. So, when it comes to food processors it’s not just hype or some marketing mischief but true power. Quality may vary, of course, so the main question I’m always asking about food processors is whether they’re worth the money required to purchase them or not. So, why don’t we open up the entire story with food processors? They are the beasts of this article basically. They pulverize whatever you put in front of them and constantly ask for more. The main indicator of how powerful these machines really are is the fact that they can knead dough. As you’re probably perfectly aware, kneading dough is a pretty nasty business, and difficult one at that. So, if your average food processor can do it, that right there is a testament of some real power. You don’t even have to add water to the bowl for the processor to tear everything to pieces, it’s absurd. Blenders can’t work that way. In order to get anything going with a blender, you must add water to the mix. Otherwise, the blades will rotate and do a bit of mixing at the bottom, but the top part of the mix will be undisturbed. So, you need a bit of water to get everything going since blenders are not that potent at the end of the day. Now that we know our way around food processors, we can start talking about blenders a bit. As I’ve already said, blenders are not omnipotent beasts in the kitchen like food processors. They have their limits, but are pretty awesome at what they were intended to do. Blenders are there to, as the name itself tells us “blend” stuff. That means you’ll be getting a paste 100% of the time. Blenders can’t make juices like juicers can, but they can make smoothies, soups, ice cream… In total, they can make anything that doesn’t require very fine processing. If you job does require it, though, you know what you need. That’s right, a food processor. The blades of the blender weren’t designed for fine cutting. It’ll always need water to start the process, which means it lacks in power compared to he almighty food processor. Blenders are terrific if you know exactly what you’re buying them for and what is it that you will be getting once you’ve opted to get one of these guys. Hand mixers are the least powerful category here and they’ll be on your radar if you’re totally crazy about baking but can’t really afford a food processor. What is a mixer? It’s nothing more than electricity-powered whisker. 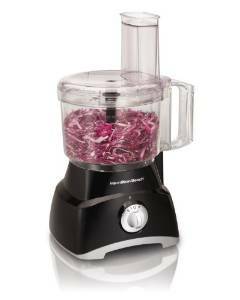 It doesn’t do anything food processor can’t do, and it’s a totally different animal from blenders. I think this is the first time I have heard that my food processor would be able to knead dough. I normally just use my mixer for this. Anyway, I have to say that having a food processor is a wonderful thing. I have tried to use the blender for all of my pulverizing projects, but the fact that they don’t do dry ingredients is really frustrating. I have a couple of recipes that call for crushed nuts and my food processor does an infinitely better job at this than my blender. I enjoy consumer articles that help demystify areas of confusion for a novice, as I have been that novice and in some cases, would still consider myself one. I would say that unless you have the ‘need’ to make dough and pastry, you could get away without a stand mixer and stay with a hand mixer if you’re trying to be strategic about how to allocate your resources. When I was starting out, there is no way I could immediately afford the top rated kitchen gadgets even if I knew I could justify the cost. Over the years, that has changed, but I still did tons of research and reading before pulling the trigger. There is nothing worse than spending high dollar on a machine that you hate and won’t use. I have a Vitamix 7500 that I love, but unless you purchase a separate dry foods container, you must add liquid to your dry foods making the blender’s primary use for liquid drinks, smoothies, soups, etc, since blending requires at least some liquid. With the money invested in a dry container, you could easily invest in a food processor. I went years with a cheap, noisy food processor and a CuisinArt mini prep processor, and I’ve just recently graduated to the Breville Sous Chef which is a bit expensive for someone starting out but you can use those discount coupons that some retailers send out monthly to knock off a chunk of the cost,, so stating that thousands would need to be spent on a food processor is misleading. My Breville Sous Chef is highly rated, used in many restaurants, on television and by “me” and I love it. It’s substantial and is made to last and do any task with ease. The components are high quality and durable, the work bowls have measurement markings and the storage case for the blades makes this a great value. The feed tube is large enough that cutting larger items just to put into a food processor is a thing of the past in most cases. I use my processor for all prep slicing and shredding, but also use it to break down cookies for crusts, and granulate sugar. 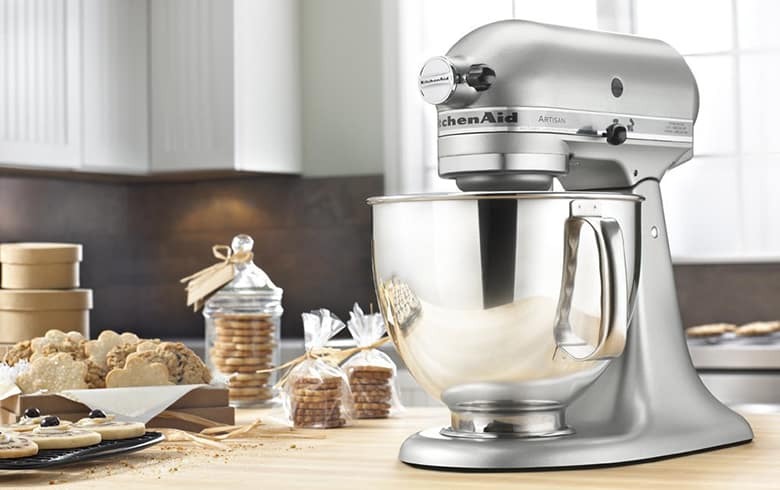 I use my KitchenAid Artisan stand, tilt head mixer for doughs and cake mixes. If you’re starting out and can only go top of the line with one item at a time, just figure out what’s most important to you. Blender for liquid drinks and tasks (dressing, soups, etc), Processor for solid and dry foods and prep work and the Mixer for doughs and goopy jobs. And remember you can always go with a less expensive version of any of these until you can upgrade later, which is nice because by that point you will know the exact functions and desired power you wish for your higher end kitchen small appliances to be capable of. These days you’re lucky to have the world wide web to access ratings and reviews from various organizations and contributors to base a decision on, not just the salesperson at your department or culinary store.